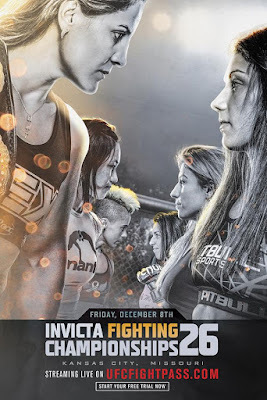 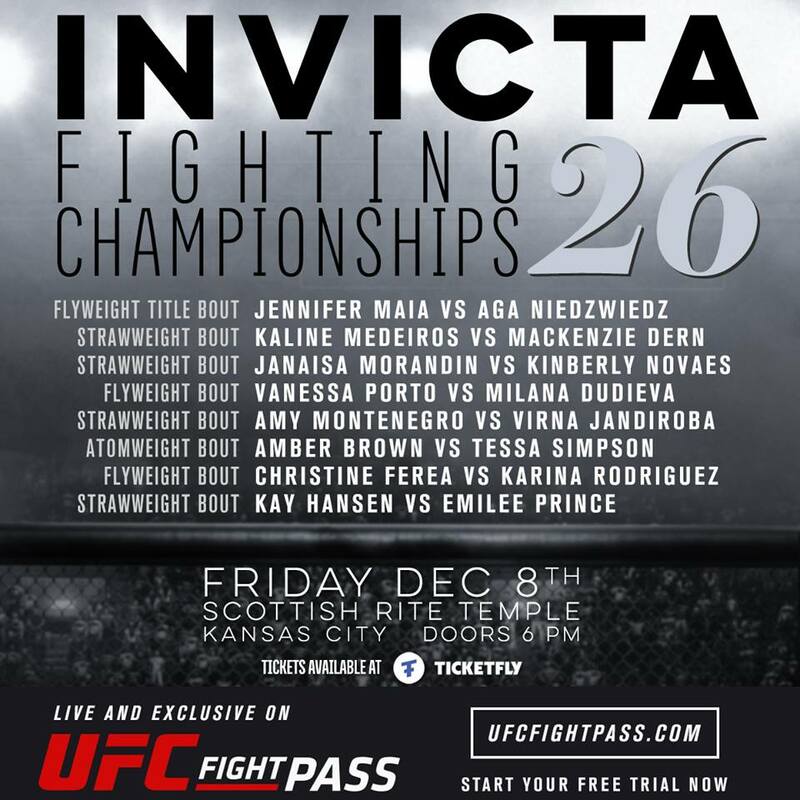 Invicta FC 26 returns to the Scottish Rite Temple in Kansas City, Missouri tonight! Tickets are available via Ticketfly or you can watch all the action live on UFC Fight Pass starting at 8 PM ET. 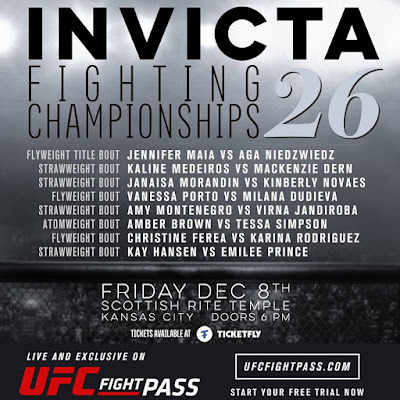 Check out the full fight card listed below and send a shout out to your favorite fighters via Twitter by clicking on their names.